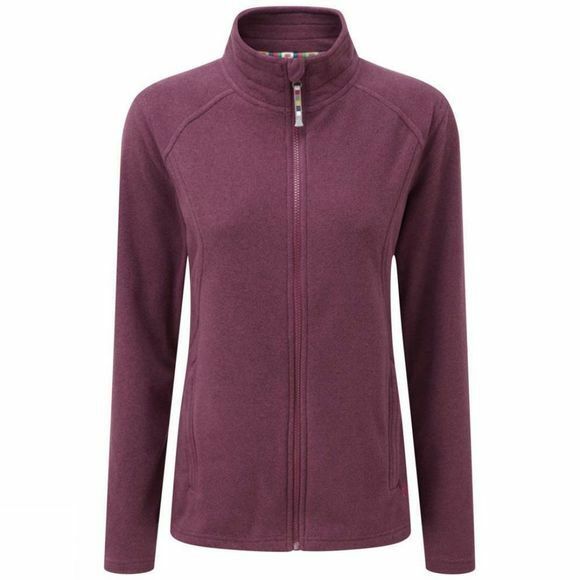 The Women's Karma Fleece Jacket from Sherpa is a warm and lightweight fleece that is excellent for layering when the weather turns cold. It features a full length zip for easy on and off while the high collar helps to retain heat for longer. There are two zipped hand pockets to keep your hands warm as well as stash your essentials and off-set shoulder seams ensure chafe free comfort underneath pack straps.